Since it's opening in 1972, Charley's LG (formerly Mountain Charley's) has been a favorite place to dance for locals and tourists alike. Having undergone a major renovation in 2012, this once "saloony" dance bar has been transformed into an upscale burlesque inspired dance club with state of the art sound system and effects to create a nighttime experience like no other. Inspired by our location on the verge of town, VERGE is the new epicenter of social gatherings, get-togethers and milestone celebrations in Los Gatos. 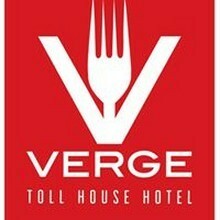 With a forward-thinking approach to dining, VERGE brings together a menu of culturally-diverse yet Californian-at-heart cuisine with a progressive, hand-crafted cocktail program. At the helm, Executive Chef Albert Nguyen-Phuoc’s inspired culinary concepts are authentic in its roots and sourcing while still fresh and unique in the combining of cultural regions and styles of cuisine. You wouldn't think from the bland exterior, situated in a strip mall, that #1 Broadway in Los Gatos would rock, but rock it does for the 30 and up set whose lives still have room for partying. This little local bar serves up live music, from local rock and disco bands, on some nights further packing the already claustrophobic dance floor and, this is a rarity in Los Gatos, you can actually take your drinks out on the patio that overlooks the street below for a breather. Local Los Gatos bikers hang out at the Boulevard Tavern to inspect the latest offerings from Harley Davidson, swill some cheap beer, listen to some good ol' rock and roll and generally forget that they’re in one of the classiest neighborhoods around. The Boulevard Tavern sports this set to capacity nearly every night and is no slouch when it comes to partying. Home to the largest St. Patrick's Day celebration in the area, seriously when that magical March date rolls around if you're not there at like 6am go someplace else, C.B. Hannnegan's also gets pretty rocking the other 364 days of the year. Regulars describe this Los Gatos local bar as a home away from home and, if you've even been there once, you know exactly what they're talking about. The outdoor patio comes with a fireplace for those chilly evenings when you haven't had enough of the sauce to warm your bones. This mainstay of the Los Gatos bar scene has a little something for everyone and gets it done every night of the week. Carrie Nation's is small and extremely popular with the twenty and thirty year old crowds and has a few huge TVs where you can catch all your sports. This local Los Gatos bar is a perennial favorite for the big games and the perfect place for a before or after dinner drink, or often the last ditch effort for people trying to hook up... you see, something for everyone. A Los Gatos nightlife & dining institution, Double D's Sports Grille has a knack for appealing to just about every type of crowd. Families can cozy up in the booths or grab a table and dive into hefty plates of creative American cuisine and pub-style favorites, while sports fans can grab a cold one at the bar and keep up on the stats broadcasted over 20 flat-screen TVs. Arcade games, pool tables and other distractions contribute to the overall cool factor of this Los Gatos sports bar. Los Gatos Bar & Grill has returned with their casual yet hip ambiance that made this bar a local favorite for so many years. Full menus feed those seeking everything from dinner to late-night snacks enjoyed alongside potent cocktails, and the bar supplies nearly every kind of drink you could want. This is one of the best places in town to catch the game and a bite to eat, and the huge patio makes it especially popular during the warmer months. Los Gatos' venerable dive bar, the Black Watch has that low key hipster vibe that belongs in a more urban setting, but that certainly doesn't mean that we're not thankful it's here. You can toss a few rounds of darts or just kick back with friends and you're likely to hear the loud rock and roll music coming out of the Black Watch before you step inside to the dimly lit interior to take part in their signature drink special: a pint glass of kamikazes. Read Review. This tropically themed local Los Gatos bar, located within the Los Gatos Lodge, was touted as the best pick-up joint for nearly four decades by authorities more renowned than us and now The Wave Room is holding onto that rep by offering good, cheap drinks in their kitschy interior. They still pack the crowds in here like they did back in their swingin' heyday, but we gather that the food and drink are a little better now. Once only known as a secretive little spot for forty-something romantics, the Wine cellar in Los Gatos has been exposed and the younger crowds are moving in to get their taste of the hipper sophisticated life or, as one colleague put it, maybe they're searching for their own Mrs. Robinson. Whatever the reason, people are flocking to the Wine Cellar to sample their extensive—you guessed it—wine selection, imbibe their funky cocktails and dine on their eclectic cuisine in Los Gatos' newest hotspot.